I would highly recommend Vankit, the service was high quality and very thorough and efficient. James and his team were very friendly and easy to communicate with, they were very prompt with their service. 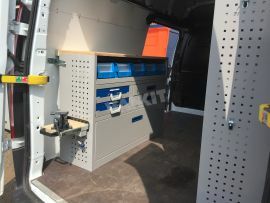 Want high quality van storage? Then I would definitely consider Vankit. 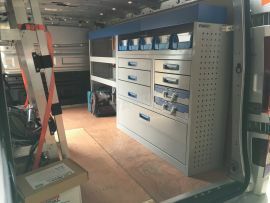 We have used Vankit repeatedly over the years to fit out our new vans and would recommend the business because we have found the service professional, friendly, flexible and prompt and also have been very happy with the quality of the product and workmanship in the installation. Our business relies on the efficiency of our mobile service engineers. 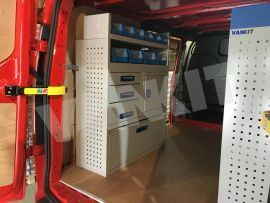 Having our vehicles fitted with quality racking is essential, and the VANKIT products have delivered. 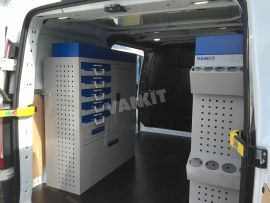 Helpful attitude and quality products, we will continue to use VANKIT for our requirements. "We would highly recommend VANKIT. 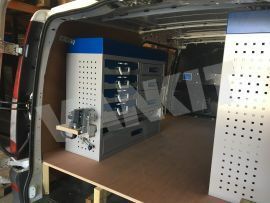 We have used Vankit for all our Fleet of vans for many years and feel that it is a Top quality product. 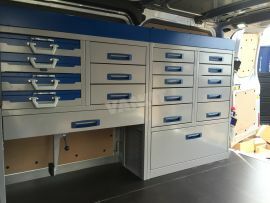 As always VANKIT are extremely helpful and the service we received was second to none, From our tweaks of the design to suit our needs and to the installation was smooth and easy. The van racking is just as we require." 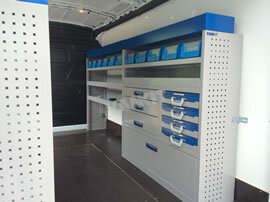 Thank you for our latest van installation as always, VANKIT carried out the design and installation without fuss. I wish all our suppliers were like Vankit. Knowledgeable ,helpful and offering a quality product and service. I cant recommend them highly enough. I found ‘Vankit (UK) Ltd’ online via a google search, and so glad I did. I already had an Aluminium system in my old van, but this stuff knocked spots off it. Vankit helped as much as I needed on the design, which is just right when you know what you want and just need a few little tweaks from an expert, rather than someone selling you something you don’t like. It really is great equipment and I have never looked back. I certainly will be going back to Vankit when my other vehicles need changing/racking. I would highly recommend VANKIT. Top quality product. 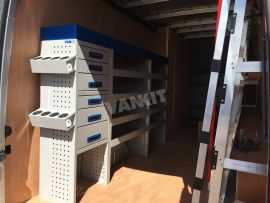 VANKIT were extremely helpful and the service I received was second to none, From design to install the installation was perfect and the van racking was just as I required. 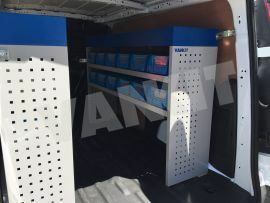 Vankit have designed and fitted racking to our specifications and budget for 3 vans so far. 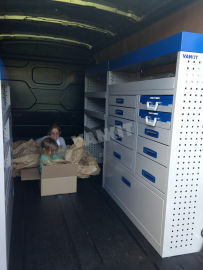 The racking and installation are high quality and our engineers are very pleased with the versatile drawer systems. 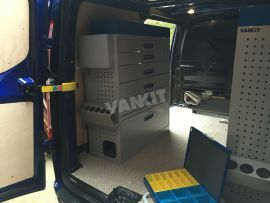 After finding the vankit system on the Internet, I selected the two units that I thought would be good for my new transit custom, I spoke to James and we arranged for me to have the units fitted to my van. When arriving they got straight down to fitting the units and altering one side so that my copper tube could slide through, within a couple of hours it was all done. 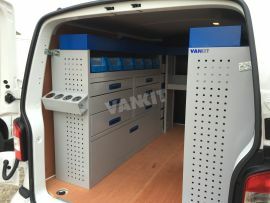 The whole experience of dealing with Vankit was faultless.Your knowledge of the product and your design service was perfect along with The fitting service which you offer.The racking system is well designed, strong & robust.I was very impressed by the quality of the product, the installation and after sales service. I'd like to thank you on the great service received. 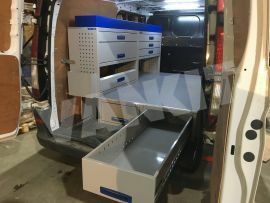 The racking was made available for collection shortly after placing the order meaning I was able to fit the racking and get my van out to work quickly and efficiently. No corners have been cut in the quality of the racking. 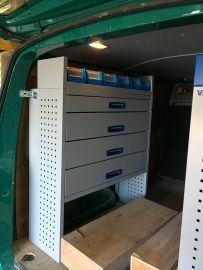 We are very pleased with the racking you installed in our van, the quality of the shelves and drawers is excellent and the fact you were able fit so quickly was a great help. Excellent product & customer service from Vankit. I live 3 hours away so the initial design etc, was done via email & phone. My previous racking was bought locally & turned out to be poor quality, I was determined not to repeat this with the system for my new expensive van! 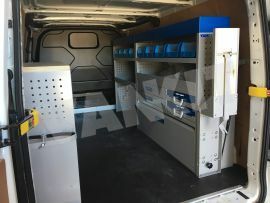 James at Vankit agreed I could view the designed system before installation with no obligation. We arrived at Vankit mid morning & took a close look at the product which is beautifully put together. A minor change to the design was not a problem. By lunch time it was fitted. 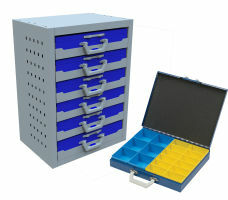 It's great to work with, the drawers are robust, smooth & close securely. The cases are well made with very good catches. The bins fit securely & don't rattle. Fellow tradesmen & even customers have commented on it. 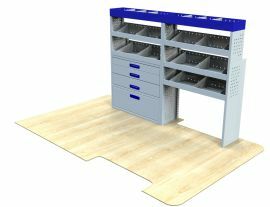 New Range of Service Case Cabinets.